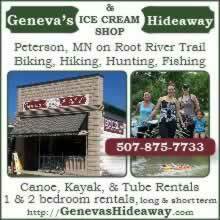 Beautiful views of bluff country, full RV hook-ups on partially wooded sites with easy access to the Root River Trail and the Root RIver. 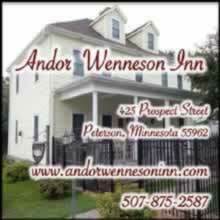 Our hotel is located in the heart of historic downtown Lanesboro and boasts the only hillside retreat on beautiful Parkway Avenue. Enjoy breathtaking views of the celebrated Root River and award-winning Bluff Country Bike/Cross-Country trails. 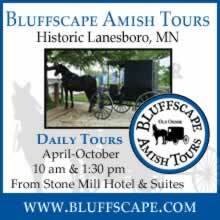 Venture off the hill and enjoy the local flavor of downtown Lanesboro,. Enjoy fine eateries, one of a kind shopping, arts and entertainment and even a glass of home grown wine.